A Facebook user identified as Collins Edemenya took to the social media platform to share quite an hilarious story of how a driver and a bus conductor along Lekki/Victoria Island expressway fought over issue of payment. According to reports, the driver (in red polo) refused to pay the conductor N1,500 for yesterday’s job which resulted into a heated argument and later degenerated into a fight. 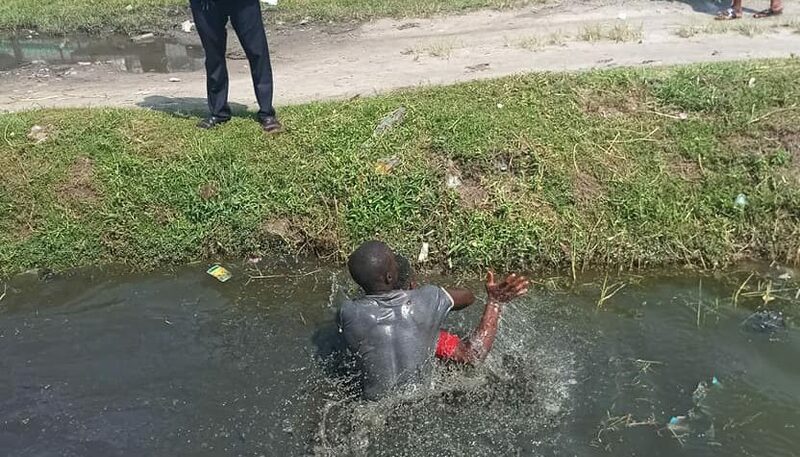 The duo took the fight which reportedly started from the bus seriously into the gutter filled with dirty water, as residents and passersby watch the fight till the end.